InstaWashLLC in New Berlin specializes in residential pressure washing for homes in Southeastern Wisconsin. Our technicians are certified and members of the PWRA and PWNA. ​We undergo continued education and mandatory training to ensure we are able to meet all of the needs of our customers. Our pressure washing service features eco-friendly and biodegradable solutions and powerful equipment for the best results in town! 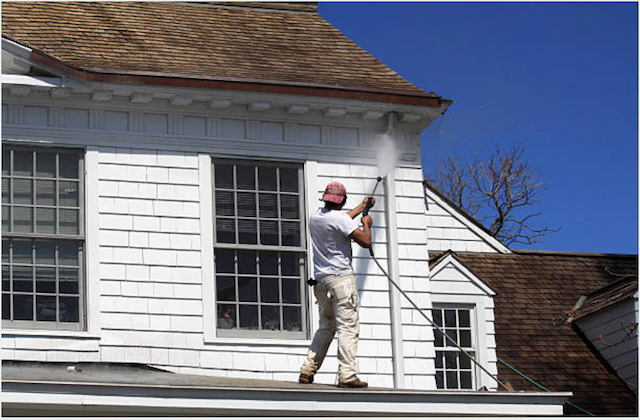 InstaWashLLC uses powerful spray equipment and home-safe chemicals to pressure clean home exteriors. Our process removes dirt, sediment, mildew and mud from brick, wood and siding (aluminum and vinyl). Plus, we clean patios, fences and concrete too. The most obvious reason to schedule pressure washing is to improve the curb appeal and appearance of the exterior of your home. Combine professional pressure washing with landscaping, routine lawn care and other home maintenance projects and you will have a home the entire neighborhood will be envious of! Thinking of selling your home sometime soon? 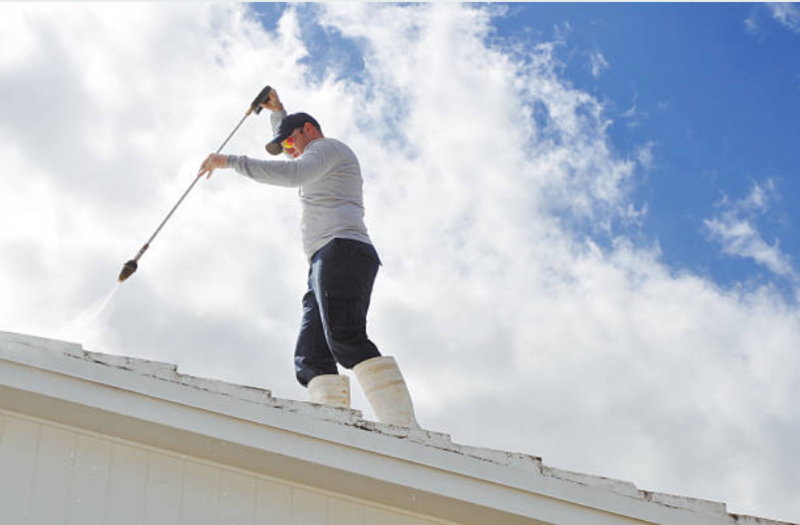 Consumer Reports estimate that power washing and touching up the paint on the exterior of a home can increase its value between 2-5% and lead to faster closings on listed homes. Dirt and grime on the exterior of a home will wear down the surface and lead to rotten wood, chipped paint and general deterioration over time. ​The cost of replacing and repairing siding and rotted wood should be avoided if possible. By scheduling regular cleanings from a pressure washing company, you will help to extend the lifetime of your home’s exterior and prevent unwanted repairs. ​The benefits above apply to our services for cleaning garage doors, gutters, wood decks and patios, fences and more! ​Questions? You can call our New Berlin office at (262) 207-4745 during business hours or use our online contact form 24/7. DIY PRESSURE WASHING: DON’T DO IT! The primary reason we don’t recommend homeowners pressure wash their own home is because of the potential for a serious injury to occur. A power washer emits intense amounts of water pressure that can cause major injury if it contacts skin or clothing. ​Also, rental machines often cannot reach higher gutters and under no circumstances should a homeowner climb a tall ladder or be on a roof while operating a pressure washer. You wouldn’t believe how many stories we have heard about homeowners ripping the paint and siding off of their homes because they turned the pressure up too high on a rental machine. Broken windows are common too. You can also ruin a home’s exterior if you use the wrong type of chemicals or too much. Professionals receive the proper training and experience to determine exactly how much pressure and which types of chemicals are necessary for each type of surface. You will find out fast that pressure washing a home isn’t easy work. For an inexperienced homeowner, it could require almost an entire day to get the job done right. To rent a power washer for a day will sometimes cost up to $100 or more. Plus, you have to purchase the chemicals too. When you add up the time to pressure wash your home yourself and the rental and chemical costs, you will come to find that you’re much better off paying for a professional pressure washing service and the peace of mind in knowing the job will be done right. HOW MUCH WILL IT COST TO PRESSURE WASH MY HOUSE? ​Let’s answer the most common question first, “how much does pressure washing cost?” Factors that impact pressure washing rates and pricing include the size of the home and the necessary equipment and chemicals to complete the service. ​For a general idea on pricing, expect homes of 2,500 square feet to cost somewhere around $175. HOW LONG DOES PRESSURE WASHING TAKE? The time necessary to pressure wash a home will depend on the size of the home and just how dirty it is. For a 2,500 square foot home, an appointment should last around 2 hours. WHY CAN’T I JUST RENT A POWER WASHER? You can. But we don’t recommend it as we explained above. HOW OFTEN DO I NEED TO PRESSURE WASH MY HOUSE? You should hire a professional pressure washing service every other year. This will ensure dirt doesn’t build up to the point of causing damage to your home’s exterior and will preserve the paint color for several years longer. 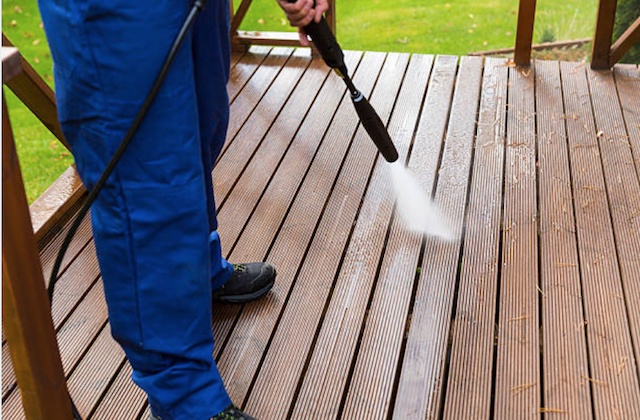 ARE POWER WASHING CHEMICALS SAFE? Yes. We do recommend rinsing nearby plants and agriculture near your home some hours after our service to ensure all bleach or chemicals are removed but otherwise, the products we use are safe and sometimes eco-friendly. We offer a 100% satisfaction guarantee to all customers for all of our services. We pride ourselves in delivering an exceptional service and stand by our process and results. If you are not satisfied with our service, we want to know. Call (262) 207-4745 and we will return to your home or business and correct the issue ASAP. Customer service is our top priority!